We have two cottages at Hella Hella – Teachers Cottage & Hayleys Cottage. Each is equipped with a kitchen, private bathrooms and come with a full compliment of bed linen and towels. A central lounge offers a relaxing space for everyone to gather and catch up with each other after a full day of activity. Braai facilities are available at both cottages. Full catering is available upon prior arrangement, please speak to us upon booking. Take a tour of our two cottages accommodation on our gallery page, click here. 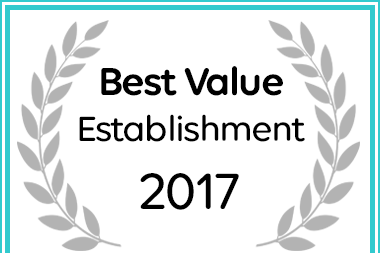 Hella Hella Adventure Centre has been named a Best Value Richmond Establishment.